It’s been awhile since I took the time to write out a simple, clean Tasting Note. I’ve been so wrapped up in self-righteous ranting against Bell’s for their trivial legal machinations against Northern Brewer and Goose Island for serving as the sacrificial lamb on the altar of Big Beer that I had kind of forgotten why we started this site in the first place. We founded Aleheads to serve as a forum to talk about our favorite (and least favorite) brews. Initially it was just a conversation between three people as we excitedly discussed new beer conquests and breweries we loved. It expanded as these things do…new Aleheads jumped on board…we got some “fans” (if you can call people that think everything you say is stupid “fans”)…and our readership grew every week and month. As we’ve grown, we’ve tried all sorts of new features. Slouch developed the ideas that became the Maltercation and All Beers Considered podcasts. Doc mastered the fine art of reader polls. Beerford helped put together the Conundra…one of our favorite features. As for me, I started delving more and more into the craft beer industry as a whole…where we’ve been, where we’re going, and what the “craft beer revolution” really is all about. Also we made fun of the Discovery Channel show Brew Masters a lot because, let’s face it, it was just terrible. 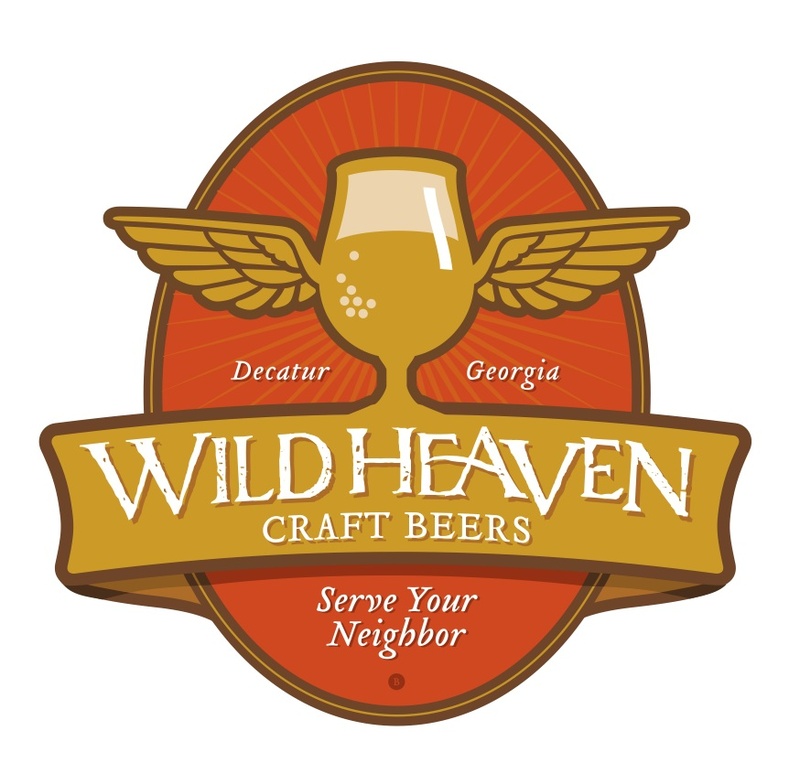 Wild Heaven is a brand-spanking new ale factory headquartered in Decatur, GA. Helmed by Nick Purdy, the founding publisher of Paste magazine, Wild Heaven’s delicious creations were developed by Eric Johnson, a brewmaster who works at Athens, GA’s best beer bar, the Trappeze Pub. Wild Heaven is going the Terrapin Beer Company route by contract-brewing their products until they can afford a brewhouse of their own. Thomas Creek, a well-regarded South Carolina brewery, is handling the brewing operations for Wild Heaven until they can open their own storefront. A building has already been leased, and Wild Heaven expects to be up and running in their own location some time in 2013. The brewery makes just two offerings right now, a very good Belgian Golden Ale called Invocation and a spectacular Imperial Brown Ale called Ode to Mercy. The latter has been Wifey’s go-to beer since it arrived on the taps of the J. Clyde in Birmingham and I’ve been known to order a snifter or two during my frequent jaunts to said alehouse as well. It’s a rock-solid beer that makes me giddy with anticipation about what else the Wild Heaven braintrust will release in the future. Nick Purdy has said that the brewery’s “place in the market is to make beer that appeals to the adventurous craft-beer lover.” A simple mission that I absolutely love. Since the Aleheads are all adventurous craft-beer lovers, Wild Heaven should be on our radar for many years to come. APPEARANCE: Dark mahogany with good clarity. HEAD: Small, off-white, fast-fading, head. LACING: Very minimal. Just a dot or two. NOSE: Somewhere between a rich brown ale and a coffee stout. The dominant notes are well-roasted malts, dark caramel, and baker’s chocolate. But there’s also a nice tinge of espresso (thanks to the infusion of a coffee blend from Athens, GA’s 1000 Faces Coffee). A faint whiff of alcohol tickles your nose at the end of each whiff. TASTE: The taste is both satisfying and refreshing. The well-roasted malt forms the foundation, but there’s also plenty of caramel and brown sugar sweetness, a rich, nutty overtone, and a faint bitterness from both the coffee and a nice, subdued hop profile. MOUTHFEEL: Medium-bodied with an excellent, dry, but not astringent finish. Not a lot of carbonation but enough to keep it from being syrupy. DRINKABILITY: Imperial Browns as a rule aren’t particularly drinkable. But the Ode to Mercy isn’t egregiously hop-forward and the roasted brown ale base isn’t cloying at all. Add that to the fact that its 8.2% alcohol is VERY well-incorporated, and you’ve got yourself a dangerously drinkable brew that should appeal to a wide spectrum of craft beer fans. It’s just a well-executed, tasty beer…pure and simple. Great job, Wild Heaven. Keep up the good work! Posted in Ale Factories, Tasting Notes.Tagged 3.5 Hops, georgia, Imperial Brown Ale, Ode to Mercy, Wild Heaven.